Sound sculptor Daniel Lanois offered his excellent Flesh and Machine LP last year, and he's now working on a project called Flesh and Machine: The Videos, which will pair each of the album's track with its own visual accompaniment. The first in the series is a clip for "Burning Spear." The black-and-white video was directed by Adam CK Vollickin conjunction with the Modern School of Film. 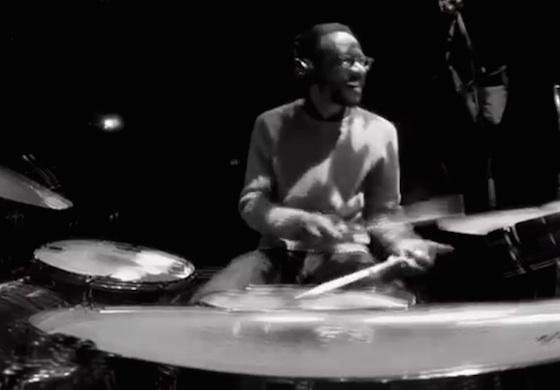 It mostly focuses in on Lanois' drummer, Brian Blade, who offers a seriously impressive performance on the track. Watch the clip for "Burning Spear" below.